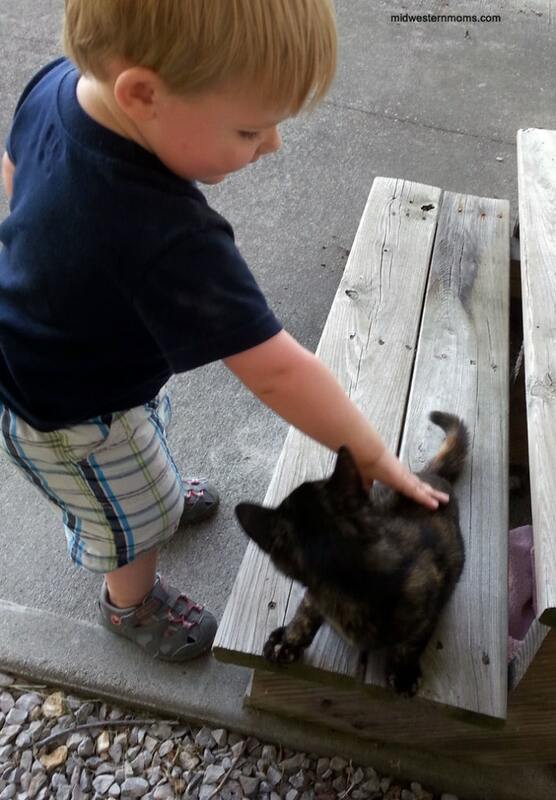 My oldest son had been begging for a cat for a while. I was not that thrilled about getting a cat and having to deal with the litter box. However, a little kitten showed up at our house and things changed. Thank you to Fresh Step® with the Power of Febreze™ for sponsoring this story about our new addition and helping me fall in love with this kitten even more. The boys went outside with their dad to play. Shortly after they went out, my husband texted saying there was a kitten outside and the boys wanted to keep it. While thinking of ways to tell the boys it can’t stay, I went out to meet it. Those thoughts quickly left when I saw how gentle she was while playing. We told the boys that we would check with the neighbors to make sure it wasn’t someone else’s cat. We placed a towel outside under our steps for a bed to sleep on and we gave her some tuna. The next day we asked around and no one claimed her. So that day, we got everything we needed to welcome our new cat. The BIG issue that I have with cats in the home is the litter box. I don’t like cleaning them and I don’t like the smell. I looked at it as another thing for me to do in the day. So, my husband and I agreed that he would take care of the litter box and I would only have to clean it when he was away on a business trip. Fair enough for me. We have been struggling with figuring out which cat litter we wanted to use. We have tried a few different brands but haven’t been thrilled about the odor that lingers. The litter box is placed at our back door. So, when we stand there to let our dogs out, we have to sometimes hold our breath due to the litter box smell. However, after trying Fresh Step® with the power of Febreze™ we are much happier with our litter box situation. The first thing I noticed when I switched the litter was that Fresh Step with the power of Febreze was that it didn’t make me want to gag due to the dust and the smell of the litter. The scent is actually pleasant and the kitty seems to approve as well. I like that it doesn’t just mask the cat’s litter box odors, it eliminates them. It even has a 10-day odor control guarantee. I have to admit, cleaning the litter box is much easier. 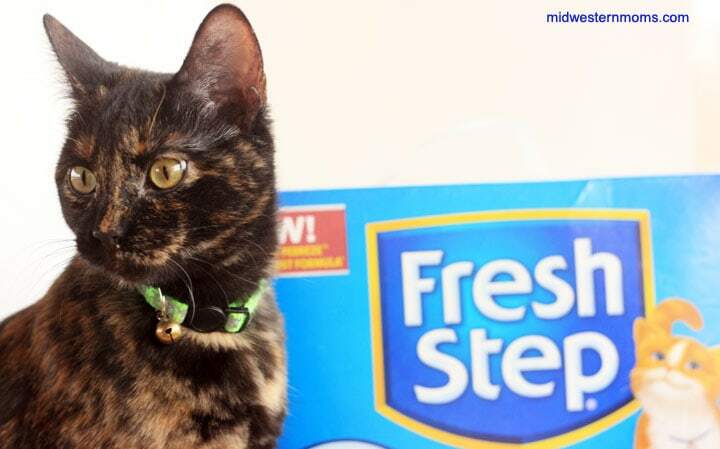 If you need more litter box tips, make sure to visit The Right Litter area of Fresh Step’s website. Make sure to follow Fresh Step on Facebook and Twitter. I don’t have a cat but that is a cute story. I have a dog and I love buying the vacuum bags with Febreeze in them…makes a huge difference to have a fresh smell in the air after vacuuming. I would love to find a litter to do the same things as you spoke of above, So we can have a home that doesn’t smell like Cat waste. 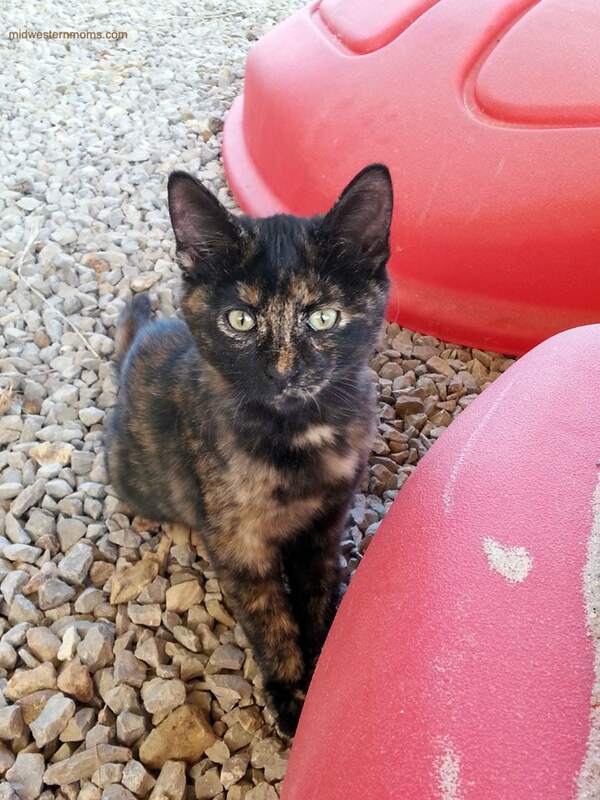 I have a Cat and our new Tortieshell Kitten we just rescued from our local Animal Shelter. And because I love a home that smells great too! The added Febreze REALLY Helps! 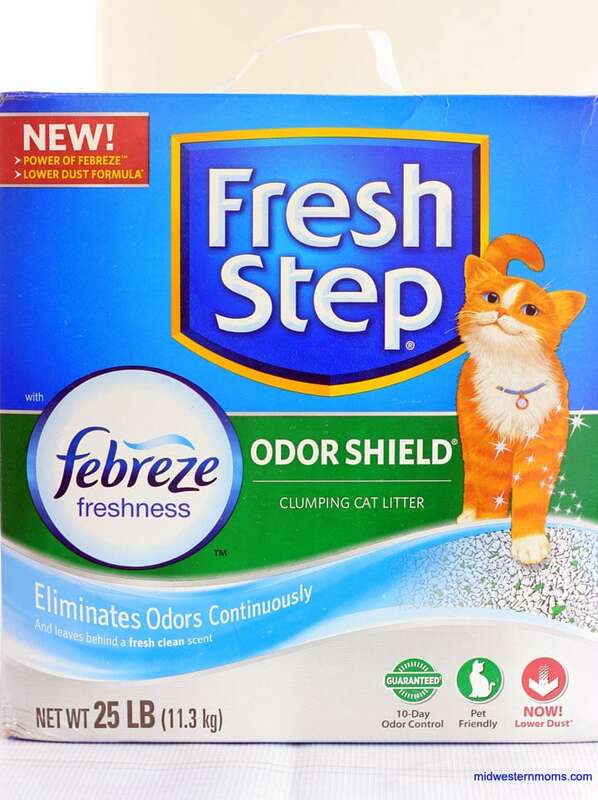 The only thing I’ve found to handle the litter box odor issue for our 3 fur-babies is Fresh Step. Visitors always remark that they cannot tell we have 3 cats unless they are looking at them. I’m proud of that! I haven’t tried the Febreze option yet, so this would be a great opportunity! Thanks!